Subverts or subvertisements are spoofs or parodies of logos, adverts or other corporate imagery. 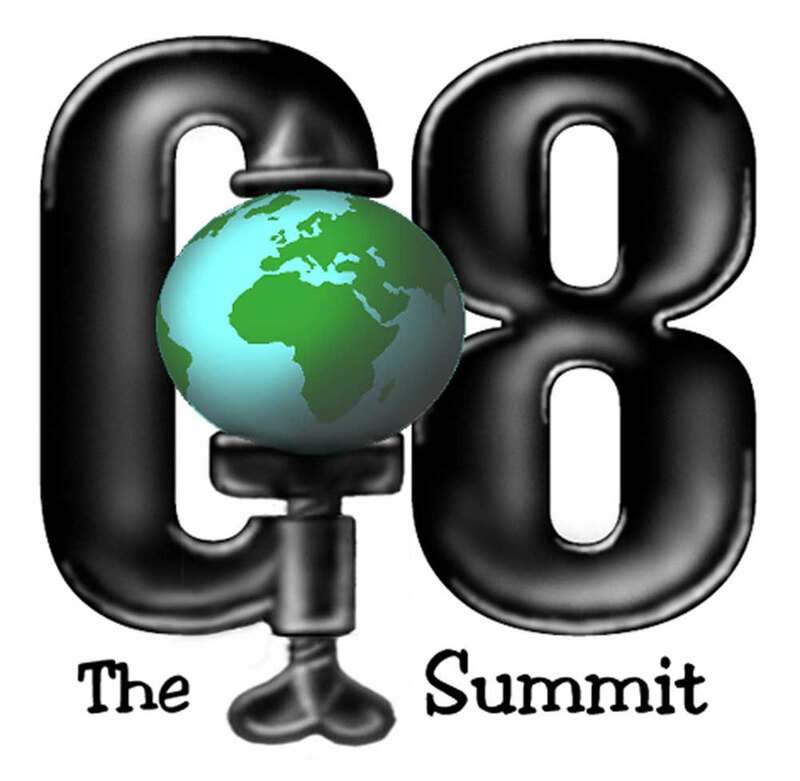 It can be a fun and powerful way to explore, question or ridicule an idea or brand. In the 1960s the situationists used “detournment” in political activism. More recently Adbusters have showcased much great ‘culture jamming’. Also see Brandalism, the Billboard Liberation Front, Banksy and Dr.D for more examples of subvertisiing and related art. 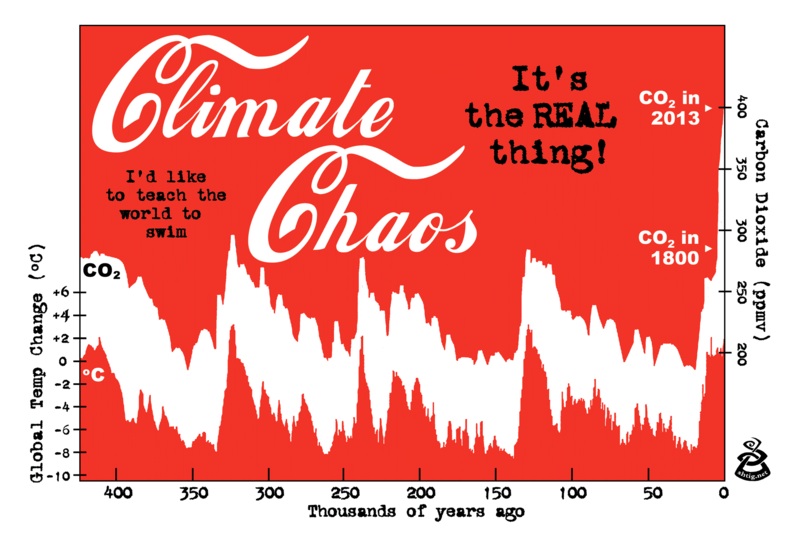 World levels of CO2 recently passed 400 ppm. This is a revised and updated version of an old subvert I made in 2007. This diagram shows the strong link between rises in CO2 and rises in global Temperature. CO2 has now exceeded 400 parts per million by volume (pppmv) which has not happened in the last half a million years. The last time CO2 was this high, the world’s oceans were approximately 20 meters higher – that’s 66 feet! Coca-cola adverts used to start “I’d like to teach the world to sing”. I now say “I’d like to teach the world to SWIM!” – as a symbol of the need to learn new ways to survive the many changes that climate chaos will bring us. See more of my climate art on my old website. A folding card ‘ruff’ that is also very similar to the crass ‘floret’ logo for BP (British Petroleum). This pocket-able prop was used several times by the Reclaim Shakespeare Company, a troupe of actor-activists who jump up on stage before BP-sponsored Shakespeare performances to perform their own Bard-inspired pieces about the perils of taking money from BP. Visit their website for some great videos, useful info and links, and many witty puns! This spoof map is from a short photo-essay, researched, written and designed by me in 2012, for the “Museum from the Future” art exhibition in 2012. 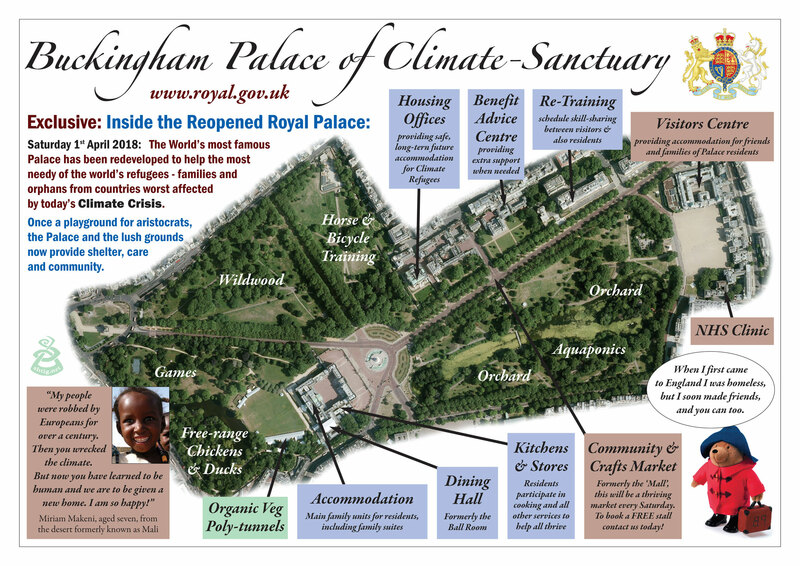 Download the 4-page PDf – Buckingham Palace of Climate Sanctuary – a spoof newspaper insert from 20 years in the future celebrating the re-opening of Buckingham Palace as a special ‘Welcome Centre’ for climate refugees. A poster designed as a ‘art’ piece for the excellent “Museum from the Future” show in Oxford’s Old Fire Station in August 2012, as a hopeful parody of British Airways. Just imagine a global ban on civil aviation? 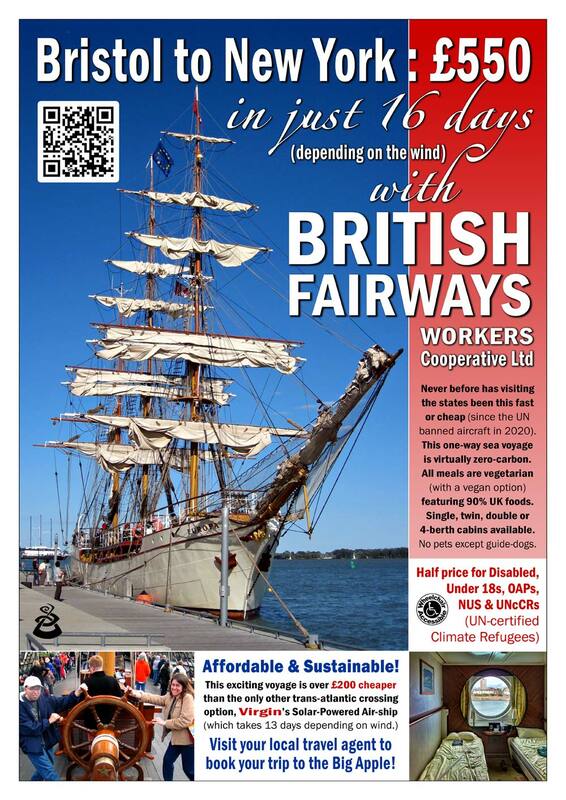 All those airports becoming allotments and nature reserves, no more contrails or jet-lag, and more local holidays, cheap trains and a new breath of fresh air for trans-atlantic sailing trips! The show featured artefacts and artwork from 30 years into the future, from a somewhat utopian future that had somehow survived climate chaos. This poster was also published in the 2012 booklet “How to set up a Workers Coop” as detailed on the PUBLICATIONS page. Cartoon poster from autumn 2011 for a project of the Green Party (UK) called New Home Front. 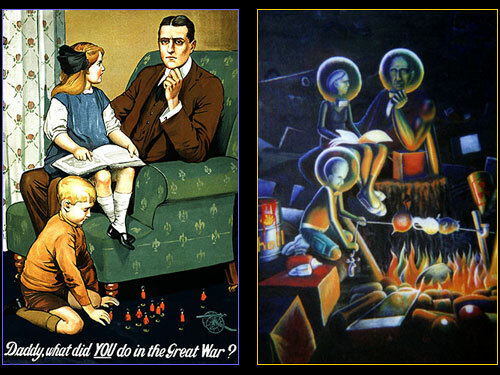 The image is a spoof of the famous British propaganda poster from the first world war (shown below on the left). It has been parodied by many designers over the years. In my version, humanity has somehow managed to survive run-away climate change. 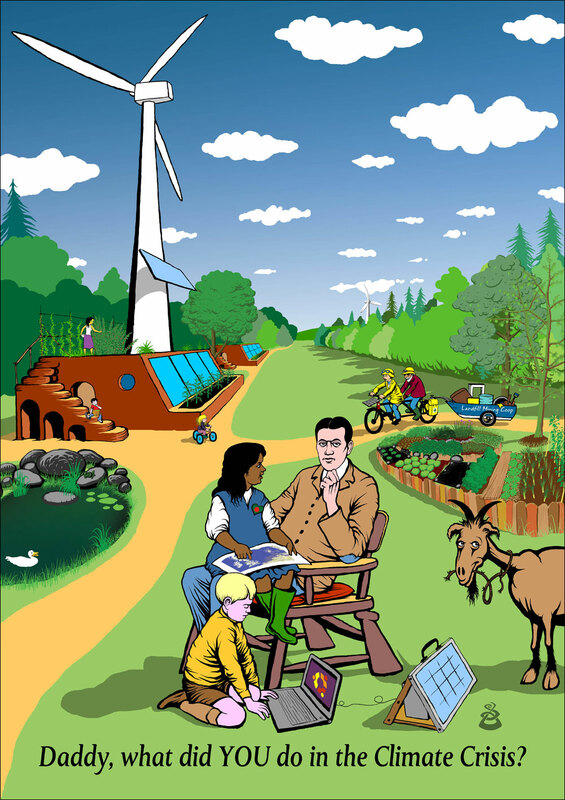 The background includes some clues on how we managed it: a pair of Earthships are on the left, harnessing passive solar, with raised beds, a large wind turbine and solar PV. 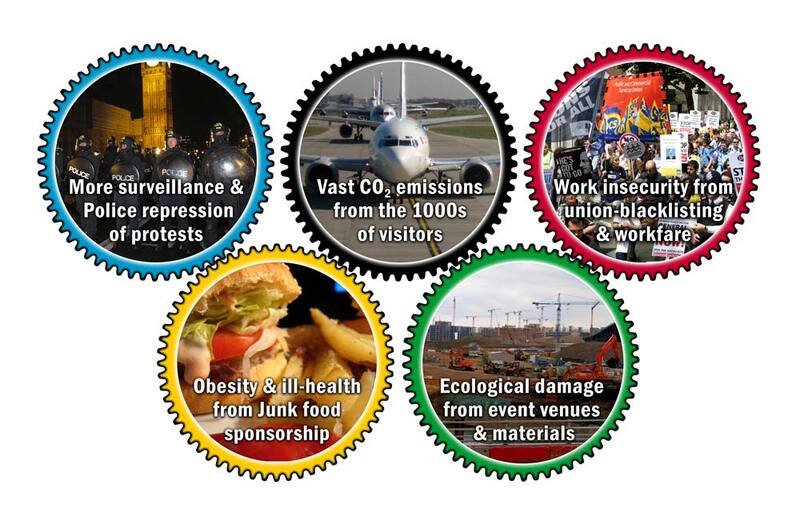 My favourite bit is the returning bike-trailer of the local “Landfill Mining Cooperative”. Given how wasteful modern society is, our descendants will spend a lot of time sifting through our trash. As Ralph Nader once said: “We need to learn how to be good ancestors”. In 2000 I painted a scary mural that was never completed (shown below on the right) which was a more pessimistic interpretation. It seems right to show it here, as I wouldn’t want anyone thinking I was some kind of unrealistic optimist. Banner that I painted around 2008, which reappeared in 2012 at street protests in Oxford. 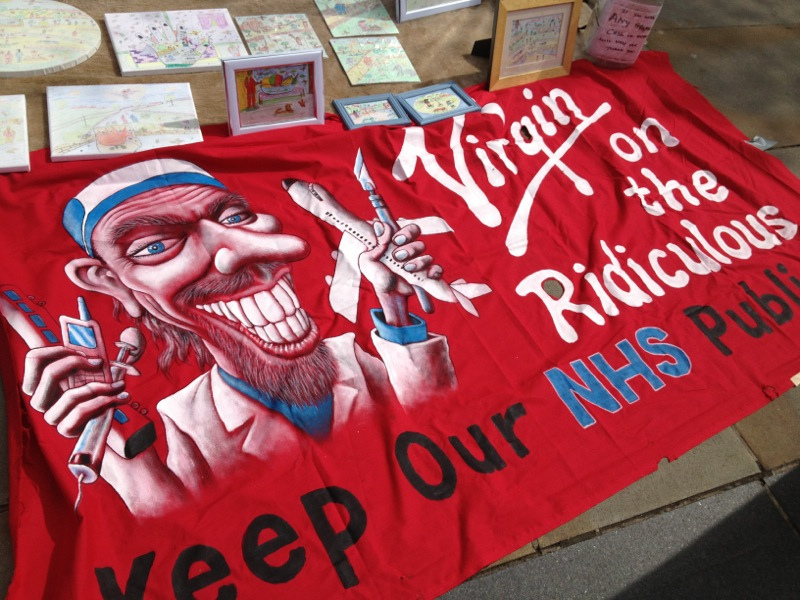 Virgin are again asking the government to allow it to take over parts of the NHS – a crass form of privatisation. 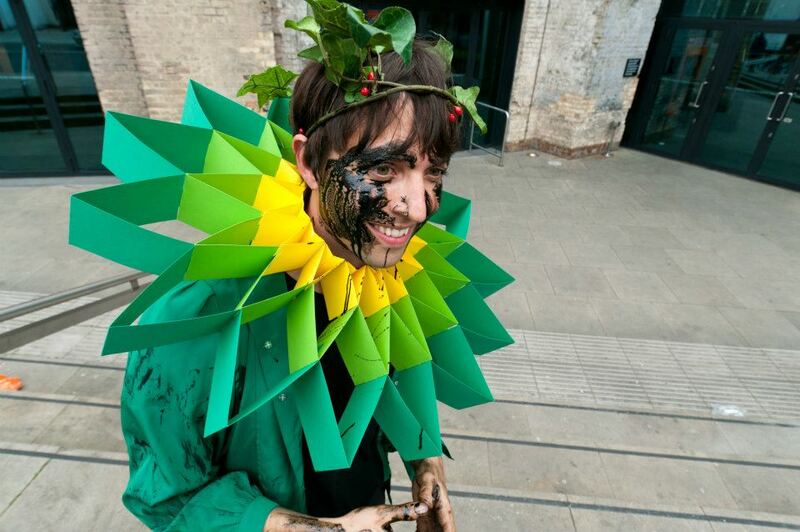 A spoof of the BP logo, suggesting that the brand is wilting, created around 2005 for Platform, who do great work on exposing the evils of the Oil industry. 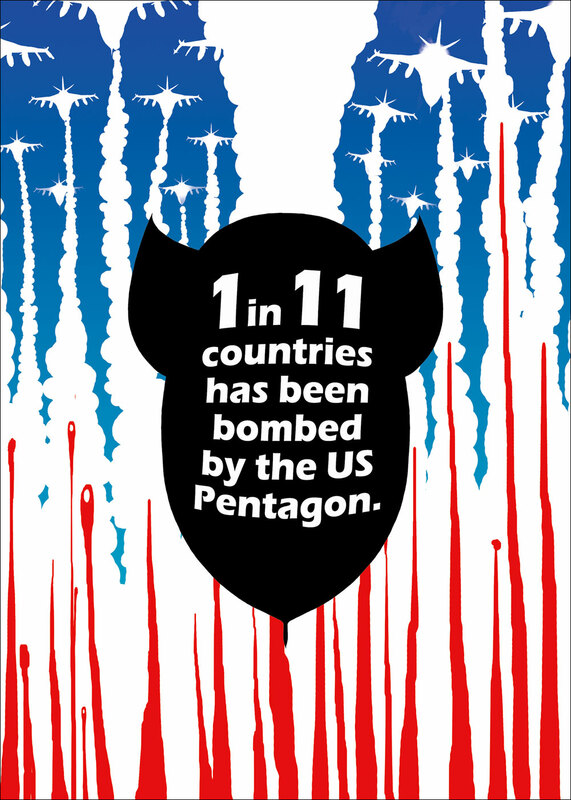 A simple graphic, made around 2003, that toys with reinterpreting elements from the ‘Stars and stripes’, the flag of the USA. The figure 1 in 11 may be wrong by now. 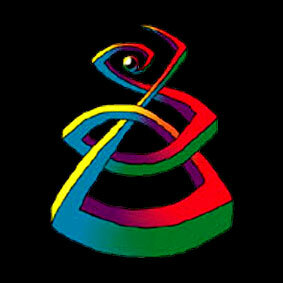 A simple but powerful logo from 2004 for the ‘cog awards’ from the Captain Hook Awards for BioPiracy. The bar-code is often a good symbol of the corporate commodification of nature. I have gone on to make several new versions of this image over the years. 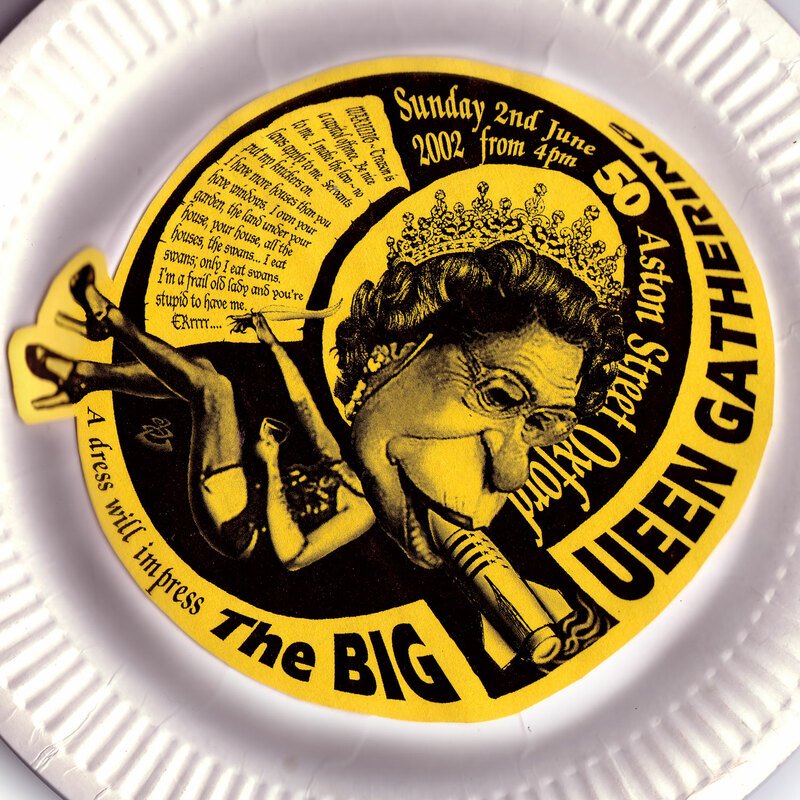 A party invite from 2002, that was also a paper plate, that was called the “Big Queen Gathering” – a parody of the wonderful Big Green gatherings which are summer festivals that so many Left-leaning green-minded folks like to go to. This invite was one of the silliest I made. The fairly pointed words were researched and written by the late Don Smith who also hosted the party. A mocking 2002 poster for Barbed Wire Britain, who campaign for the rights of refugees and immigrants in the UK, and Corporate Watch UK. 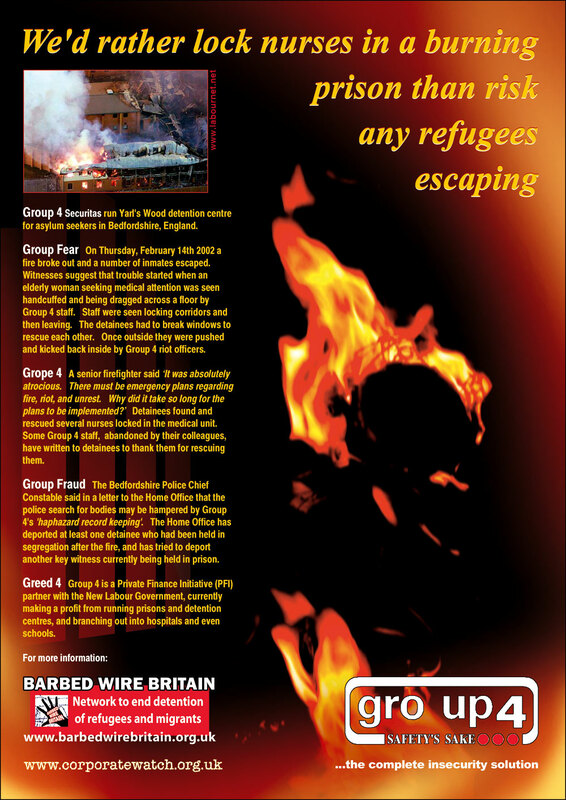 The poster criticises Group 4 Security (now called G4) detailing their appalling behaviour at the 2002 fire of Yarls Wood Refugee Prison (sometimes called an Immigrant Detention Centre). A slightly altered poster from 2002, done for Corporate Watch UK. “Great war” becomes “Gene War”, in reference to the battle against genetically modified foods / crops, etc. The humans of the future are forced to wear large glass bubble protection, and the doorway behind then is heavily reinforced and marked with a biohazard symbol, suggesting that their outdoors is not as safe as it could be. The little boy on the floor is directing his toy soldiers not towards an enemy cannon, but towards a cauliflower, suggesting that even children do not trust all food to be ‘on their side’. 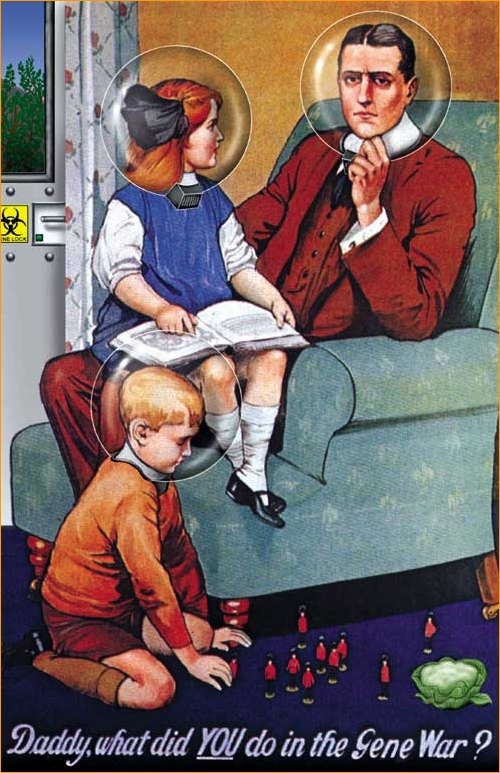 A poster (and postcard) from 2002 that parodied the corporate branding of Bayer, the german multinational chemicals corporation, who are heavily pushing genetically modified crops, foods and other processes. 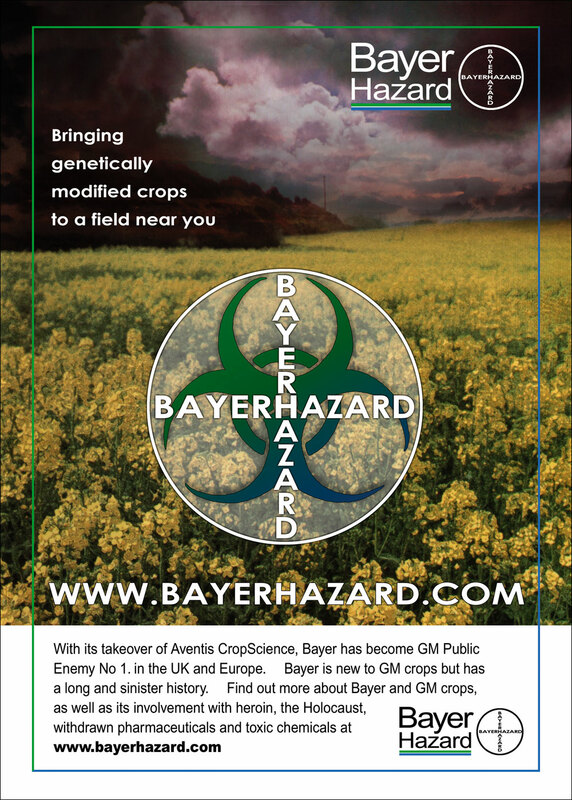 The bayerhazard website is no more, but GMwatch has some archive info on that campaign, a campaign that succeeded in driving Bayer out of Britain! Bayer have got bigger and more dangerous – for more information visit the impressive multi-language website of the Coalition Against BAYER Dangers. 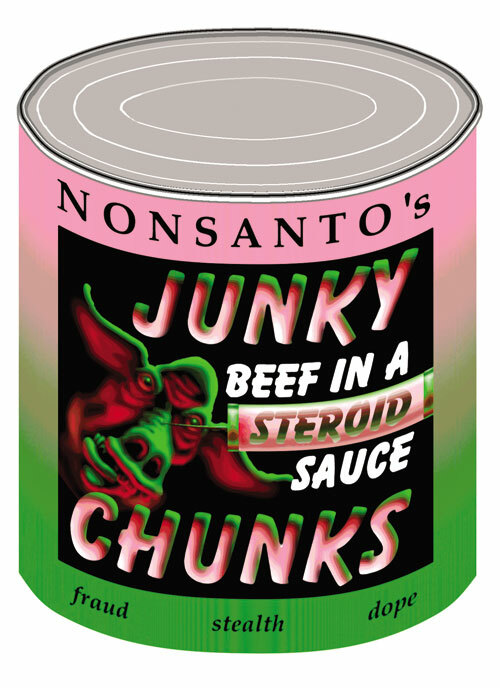 A 2000 subvert mocking Monsanto, the world’s most infamous genetics corporation. Monsanto at the time has a three word ‘catch-phrase’: Food, Health and Hope, which I reworded as “Fraud, Stealth and Dope”. There is a lot of corporate propaganda, sometimes disguised as ‘news’ in the media these days. For the other side of the story, please visit GMwatch and also Genewatch. A simple spoof of the Chevron logo from around 1999, for Corporate Watch UK. Chevron was once called Standard Oil, and is now one of the largest oil companies in the world. 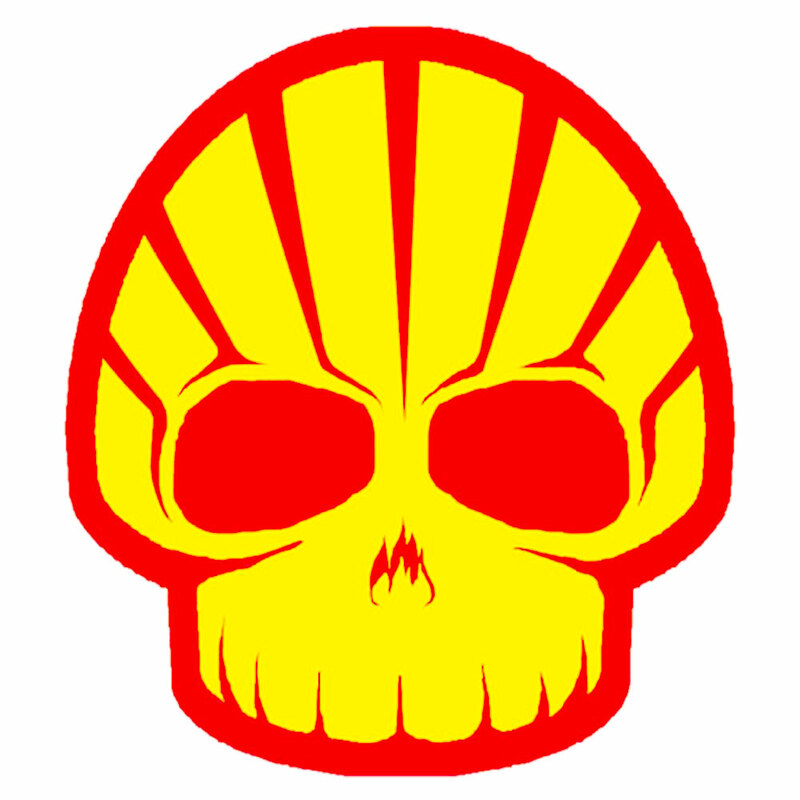 Like with most oil companies it has a long history of pollution, oil spills, and backing oppressive regimes (E.G. : Nigeria). 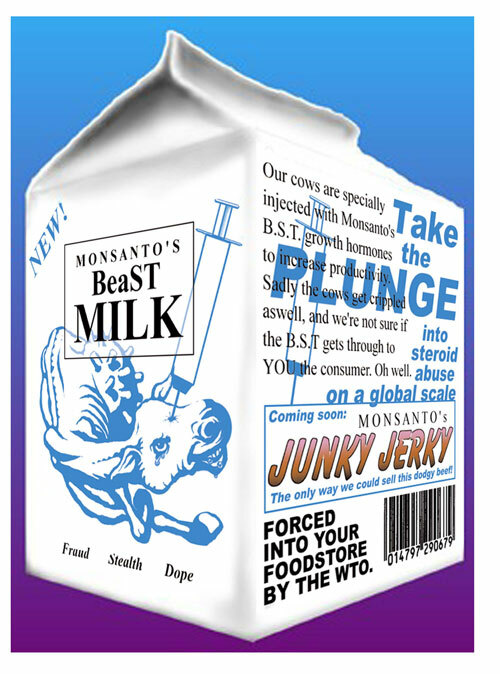 One of my favourite early subverts from around 1999, again for Corporate Watch UK, mocking Monsanto’s BST milk that was the centre of a brief trade war between the European Union and the USA, and is still banned in many countries around the world. I like what I ssee so i’m just following you. Look ahead to exploring yolur net webpage yet again.